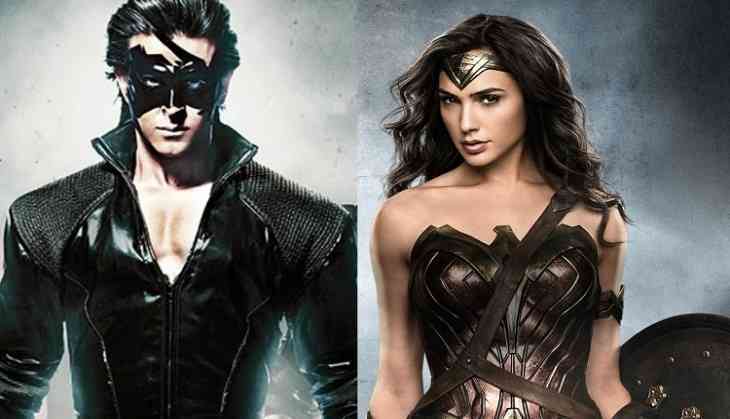 Hrithik Roshan is apparently getting more and more involved in the creative process of Krrish 4. According to sources, Hrithik Roshan has suggested that the film could also have a superwoman along with his superman kind of role. A source says, "The actor was watching the Wonder Woman trailer and he had a brainwave. He thinks adding a superwoman character would be wonderful for the script. He would like the superwoman to be helping him save the world and not fight against him." The makers are said to be yet deciding who to cast in this newly thought of character. Priyanka Chopra's presence in Krrish 4 is still undecided as she's still caught up with her commitments in Hollywood. So the hunt for the actress for her character is also still on.